We can be thankful to have a roof over our heads, but let’s not take that same roof for granted. In the literal sense, having a roof over our heads means protection from the outdoors, especially during rainstorms. 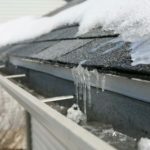 Homeowners should be sure to prevent a leaking roof from damaging their home’s structure or attic by taking action early, before disaster strikes. 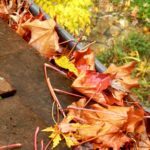 If rainwater creeps its way through the barriers of your home, it can lead to rotting wood, mold, and higher maintenance costs. Repair or replace shingles in the areas that are most vulnerable, such as around chimneys and vents. In the attic, look for holes where air could escape, and water could slip in. Rain can back up under shingles and into the attic this way, so check the roof rafters or truss for water stains. 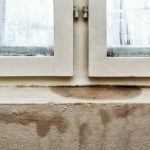 Peeling paint around windows and doors can be another sign of unwanted water finding its way into your home. Discolorations in paint or swelling around windows and door frames are other signs of damage. Adding flashing around windows, doors, and chimneys prevent water from invading at spaces where two different materials meet. 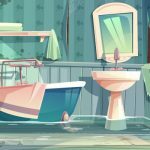 Rainwater can enter your house in different ways, either through the roof, exterior walls, or windows and doors. If any damage occurs, a quick response is necessary. But you can take steps to make sure your home is protected from the rain before a single drop finds its way inside. 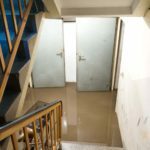 In West Michigan, Action Restoration is the company to call water damage seeps through the cracks. Located at 2649 Edward Street in Jenison, Action Restoration is your hometown disaster recovery and restoration team. We’re ready 24/7 to Respond, Recover, and Restore. Icicles: Stunning Scenery or Serious Issues?